Some people complain that link is female and isn’t left handed, but COME ON She wanted to do the video and can’t change her genetics on a whim. I do have one complaint though, it doesn’t even come close to looking like she’s actually playing the music. She’ just kinda flailing about with that instrument. Also, I would have been able to fall for this a bit more if one violinist wasn’t pretending to play the part of an entire orchestra. A single violin recording would have been more charming imo. As you man know or will likely learn, I frequently have especially vivid and colorful dreams. Often, I realize that I’m dreaming and can exert varying degrees of influence on what’s going on. My boyfriend recommended that I start recording these head trips so here I am. Last night in my dream I was in a bar or night club of some sort and bumped into a fictional person from my past that initiated a flood of memories. I had to spend some time recalling my past in order to remember this individual. In my dream memories, I was still me, but my past was somehow jumbled up. People from graduate school were also at my undergraduate summer internship, upon which I was reflecting. Where I lived was different and my personality was sort of distorted. I had been a really big party girl (which admittedly I was a bit at my internship). None of the actually locations matched up with real locations. My graduate school friends were there, but some that I was close to in real life, I was distant with in my dream. Other that I barely knew at all in reality were very close to me in my dream. Even where I lived was different, instead of being in the dorms my dream had placed me as a sort of houseguest/exchange student situation with an eccentric family that lived in some sort of tiny egg pod house. In the dream, this chance meeting at a bar inspired me to visit my fictional past (which was in Missouri). I visited some of the imaginary bars I had frequented and tried to squeeze into the egg house where some of the current tenants didn’t recognize me. If it sounds complicated, it was. When I woke up, I was kinda tripped out since I had to realign my dream past with my real past. Figure that one out, psychologists. I’ve been on a book binge lately. I’ve felt a strong urge to purchase the last few hardcovers of the Harry Potter series. Perhaps I’m irrationally worried that their cost will rise or it will be harder to find new copies at a reasonable price. So lately whenever I’ve made an amazon purchase, I’ve thrown in a Harry Potter book. I only have one more to go! 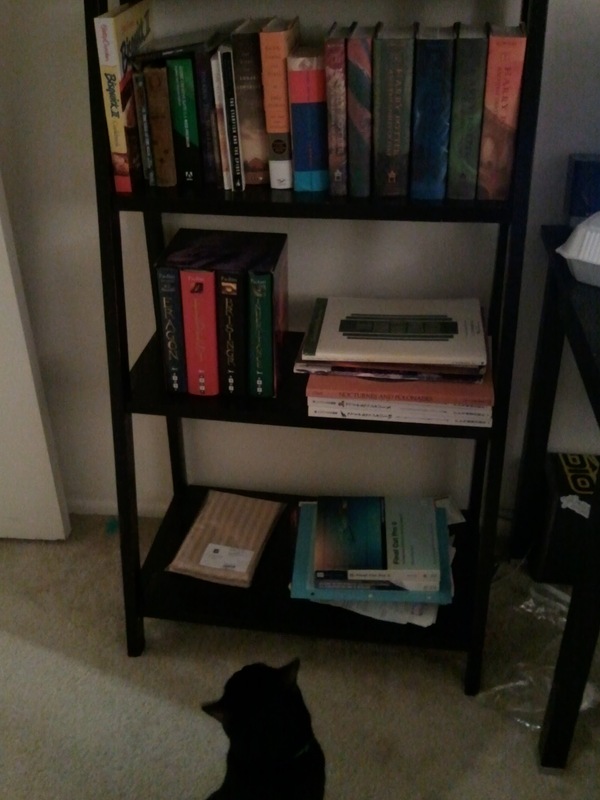 Nero is contemplating what he wants to read now that he’s done with Inheritance. Also book related is the release of the final book in theon November 8th. I’m sort of into fantasy novels. I’m afraid of aging mostly because of how silly it looks that I’m reading teen targeted fantasy novels XD. 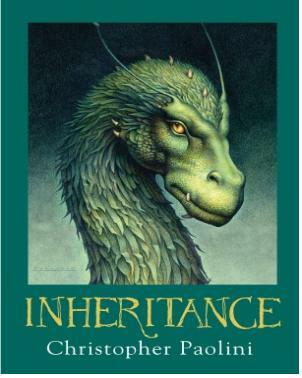 The books are written by teenage author Christopher Paolini. I really can’t ask for much more. I’m finding the last book fairly predictable due to the common fantasy elements and overly heavy foreshadowing of the first two books. Despite that, I love to just dig into a lovely coming of age fantasy full of magic, love, elves, dragons and dwarves. Some readers might consider the novels overly detailed or full of unimportant meanderings, but I really don’t mind. I read so fast I’m glad there’s a lot there to keep me reading nonstop for days. I believe I’m on the last quarter of the book. As always with books I’m both enthralled and a little sad to be reaching the end of the adventure. I can reread the books again in the future, but you never get another shot at your first read. This is why I love the internet. It people do such wonderful and artistic things and the internet provides the way for the world to see. I am particularly fond of this video because I have done quite a bit of bead spite making myself. I’ll have to post a picture of my fridge (which is covered in sprites) at a later date. This video was made by making numerous Super Mario bead sprites and painstakingly photographing them in sequence to create an adorable video. Enjoy!